We are your full service local vet clinic offering 24/7 service. Best of all, we are your one stop shop for all your pet care needs. Our experienced vets will advise you on the best options for care and also treatment of your beloved furry family members. In addition to our dedicated clinic with consulting rooms, surgery, comfortable waiting room, pet accommodation and on-site grooming, we also offer a full mobile service. We can come to you 24 / 7. Just call us on (03)95795858 and after-hours your call will divert to our on-call veterinarian. Or to make a booking via our on-line web link just click here. 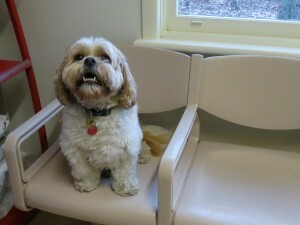 Our vet will discuss your needs and also whether a visit to our clinic, a house call or next day appointment is needed. It’s important to note that additional charges apply for house calls until 10:00 PM and from 10:00 PM to 8:00 AM. Pets love visiting EBAC – we are your caring local vet covering Glen Eira and East Bentleigh, Clayton, and Heatherton, Oakleigh South and Clarinda. Finally, we focus on preventative care. With preventative veterinary medicine, you can save hundreds of dollars in pet care per year while avoiding expensive future procedures and treatments. Talk to our caring team about preventative care for your beloved pet.